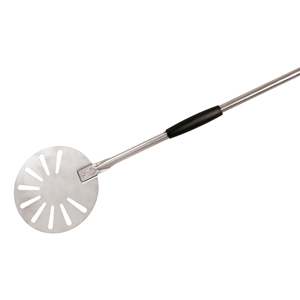 Wildwoods premium oven brush with natural bristle has a red anodized handle and a long brush that is ideal for pushing ashes to the side as you cook. 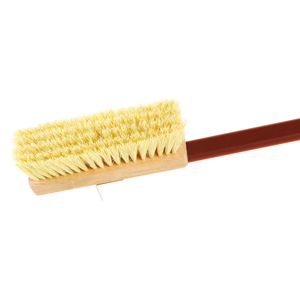 The Wildwood Oven Brush Natural Bristle has a red anodized handle and a long brush that is ideal for pushing ashes to the side as you cook.This is our premium brush. 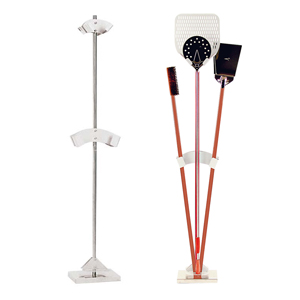 The brush head swivels to allow for side to side sweeping or front to back sweeping. This brush is gentle on your hearth and does a great job of moving the ash without leaving a trail of ashes behind. The brush is 2-1/2 inches wide and 7-7/8 inches long, the overall length is 59 inches. 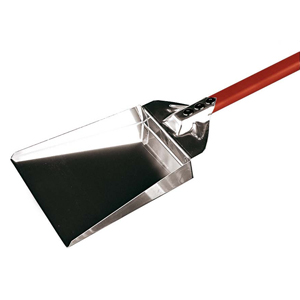 The stainless steel ash shovel with anodized handle is 8-1/4 inch wide, 12-1/4 inch long, with an overall length of 68 inches.